Well Intervention Market Worth Over $18 Billion by 2024: Global Market Insights, Inc. 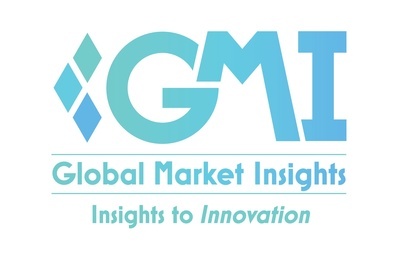 Global Well Intervention Market will surpass the revenue of USD 18 billion by 2024; as reported in the latest study by Global Market Insights, Inc. Growing number of matured oil fields coupled with rising concerns toward depletion of conventional reserves will foster the well intervention market. Ongoing development of urban areas across the emerging economies along with rising demand for petroleum products will propel the industry growth. In addition, rapid technological advancements across the oil field services sector will enhance the technology adoption. Indonesia market will surpass USD 350 Million by 2024. Increasing need toward revitalizing of aging oil fields on account of escalating demand for crude oil will boost the industry growth. In addition, the changing regulatory scenario along with introduction of favorable policies by the government authority will positively influence the technology adoption. Upsurge in investments toward development of advanced technologies to enhance the production from maturing fields will further compliment the business landscape. Favorable regulatory policies toward the development of deep and ultra-deep drilling projects coupled with expansion of subsea production systems will propel the offshore well intervention market. In addition, the availability of large volume of offshore reserves across the Northern Continental Shelf (NSC) and Persian Gulf will encourage the technology adoption. High well intervention market will witness gain of over 7% by 2024. Increasing investments toward exploration and production activities across the offshore areas will positively influence the business growth. The technology is widely used to replace futile parts including tubing, pumps and valves from the wellbore and to plug & abandon the well which are not feasible for production. Accelerating number of stripper and marginal wells along with increasing demand for crude oil will foster the artificial lift systems market. Reliability, limited risk exposure, and ease of drilling across the subsea intervention are some of the key features which will propel the business growth. Increasing focus toward development of unconventional wells coupled with favorable regulatory policies to enhance oil production primarily across OPEC countries will fuel the global market. Increasing exploration activities across the subsea areas including Norwegian basins will stimulate the Norway market. In addition, increasing government focus toward the development of aging oil and gas fields along with favorable regulatory schemes pertaining to offshore production will complement the industry landscape. Increasing investments by national oil companies coupled with ongoing shale revolution across the U.S., Middle East and China will propel the remedial cementing market share. The service is used to rectify the issues related to the primary cementing and to deal with issues which are caused during production. It further involves the use of cement plugs and squeeze cementing which prevents the mixing of other fluids with the cement. Key players across global market includes Archer, Haliburton, Exxon, Weatherford, Schlumberger, Calfrac, Tenaris, Cudd Energy, GE, National OilWell Varaco, DeepWell, Superior Energy, Technipfmc, Trican, Weltec, Omega, Basic Energy, Expro, Hunting Energy, Helix, Oceaneering, and Altus. Global Drill Pipe Market revenue was valued at over USD 800 million with annual deployment to exceed 35 million feet by 2024. Growing investments across upstream sector coupled with ongoing exploration & production of unconventional resources including shale and tight gas will drive the drill pipe market outlook. Cryogenic Equipment Market outlook was valued at over USD 15 billion in 2017 and is poised to grow over 7% by 2024, driven by ongoing investments toward the expansion of existing manufacturing facilities coupled with supportive government policies across emerging economies.